Adele's second album, 21, has broken sales records all around the globe. 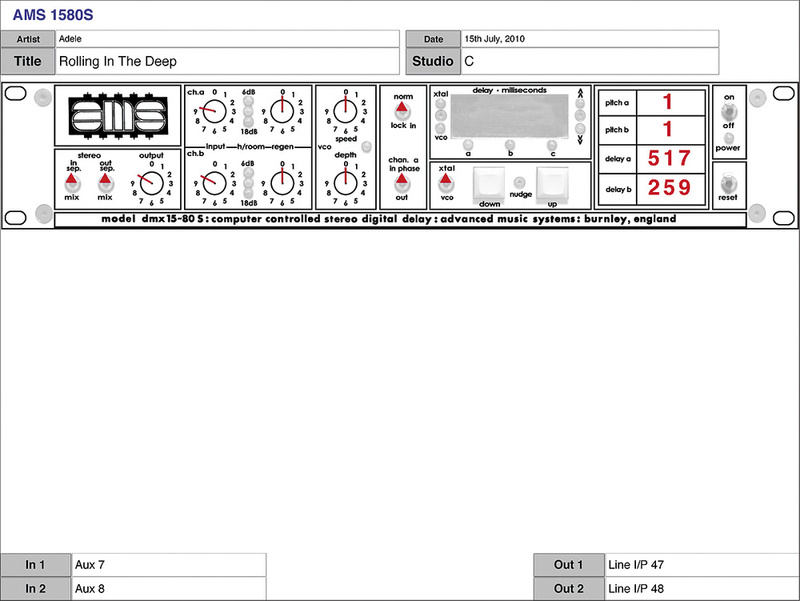 Mixer Tom Elmhirst and producer Paul Epworth explain how they created its multi‑platinum lead single, 'Rolling In The Deep'. Adele's record‑breaking sales feats are so extraordinary that she's been credited with single‑handedly reviving the music industry. In case you've just come back from another planet, the singer‑songwriter achieved an impressive lift‑off with her first album, 19 (2008),which sold nearly three million copies worldwide. However, it was its successor, 21, released in January 2011, that took her into the stratosphere. With seven million sales and counting, 21 is by far the best‑selling album of 2011, having reached the top spot, often for weeks on end, in two dozen countries. This included a record‑breaking 13‑week stint at number one in the UK, which resulted in the album going 10 times platinum. 21 has also gone multiple platinum in the US, where it spent 10 weeks at the top of the Billboard album chart. The achievements of Adele's two albums were galvanised by several hit singles, notably four multi‑platinum worldwide hits: 'Chasing Pavements' and 'Make You Feel My Love' from 19, and 'Rolling In The Deep' and 'Someone Like You' from 21. 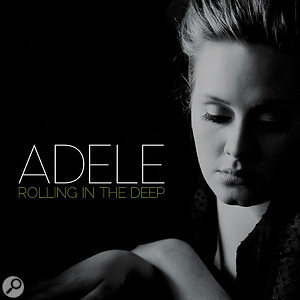 'Rolling In The Deep' reached number one in at least 13 countries, including the US, where it sold over four million copies. Of course, Adele didn't reach these heights all by herself. Her album titles refer to her age when the respective albums were made, and XL Recordings have supported their inexperienced signing by enlisting renowned co‑writers and producers. Her first album was mainly produced by Jim Abbiss, with some help from Mark Ronson, while the impressive credit list for 21 features the likes of Abbiss, Paul Epworth, Ryan Tedder, Dan Wilson, Greg Wells, Fraser T Smith and Rick Rubin. 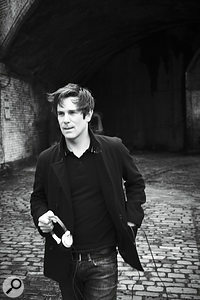 'Rolling In The Deep' was co‑written by Adele and Paul Epworth, and produced by the latter, who will be well known to SOS readers through his work with Cee Lo Green, Maximo Park, Bloc Party, the Rapture, Florence & the Machine and Plan B. 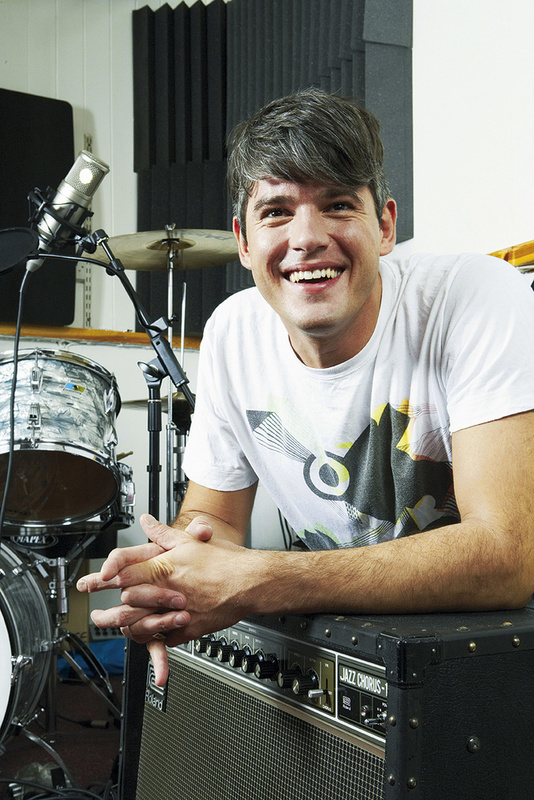 The way Epworth recorded and arranged the song — as described in the 'From Demo To Platinum Hit' box — played a large part in Elmhirst's mix approach. 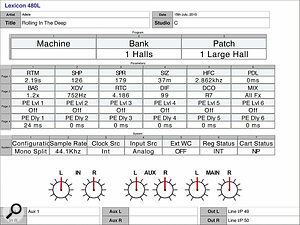 "Sometimes the job of a mixer is to add just two percent,” the mixer explains, "and others require more radical changes. 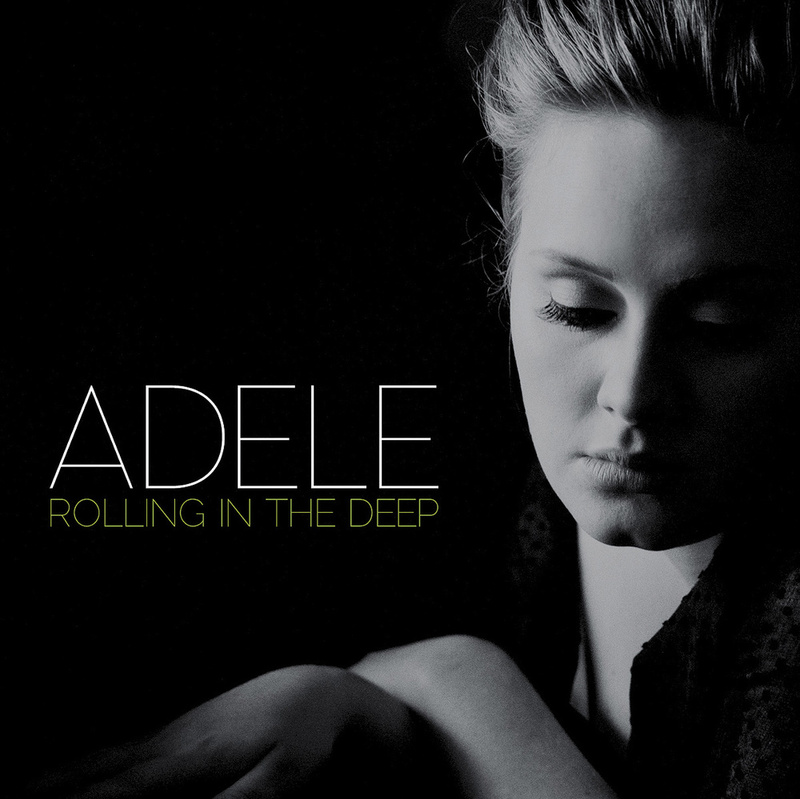 'Rolling In The Deep' was incredibly well‑formed. I loved the song and felt that I could bring a deeper, more dynamic sound to the mix. 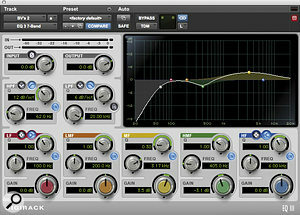 The calibre of producers and artists I'm working with means that it's possible that sometimes I can't do a better mix. "Do I refer to the rough mix? Well, unless the reference mix is shockingly bad, you don't want to go miles away from it. That would be crazy. Normally people will have listened to the reference mix a lot — it's what they know and have come to love. On the other hand, while I will obviously have heard the reference mix at some stage, I try not to listen to it after that. Otherwise it'll affect the way I work too much. 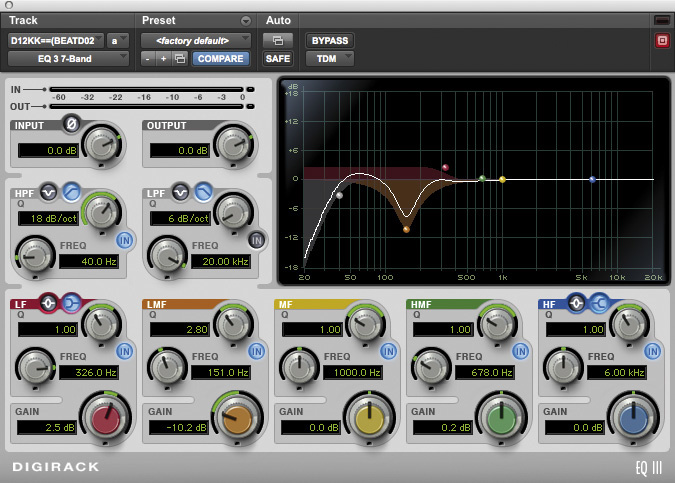 The biggest problem I'm having today is being sent reference mixes that are overloaded with mastering plug‑ins and limiters, because producers are having to compete for album cuts to such a degree. It's a battle for me as well, because people don't like it if my mix isn't as loud as the reference mix. "Normally, my assistant Ben Baptie will load the Pro Tools file in the morning, and will have looked at it for an hour or so and done some preliminary bouncing by the time I come in, usually around noon. It'll take me about an hour and a half to figure everything out. 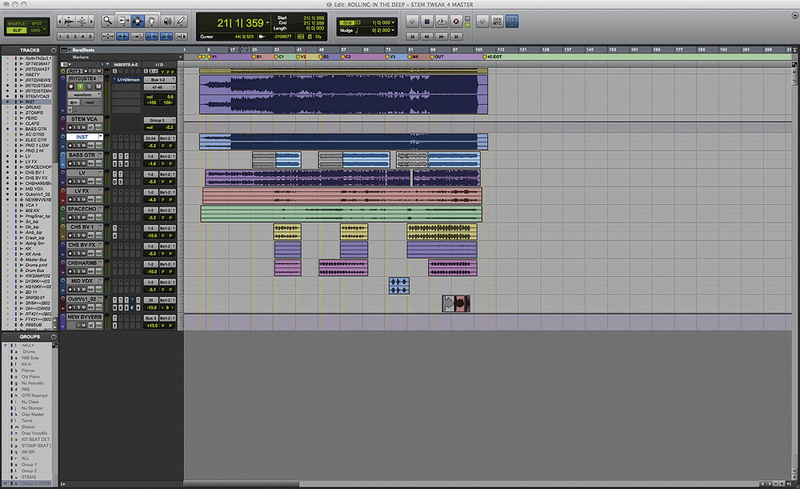 I might do a bit more bouncing in Pro Tools, because I prefer not to have endless amounts of tracks going on. I always lay the outputs out over the console myself. 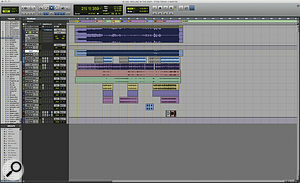 Realistically, I have about 44 channels on the desk for audio, so I need to reduce the Session to that if it's larger. The rest of the desk is taken up with the returns from the outboard. I use faders for sends from the effects, especially on the vocal on which I may have four sends, like reverb, chorus, delay and so on, and I can ride these and play with them. It's very fast. 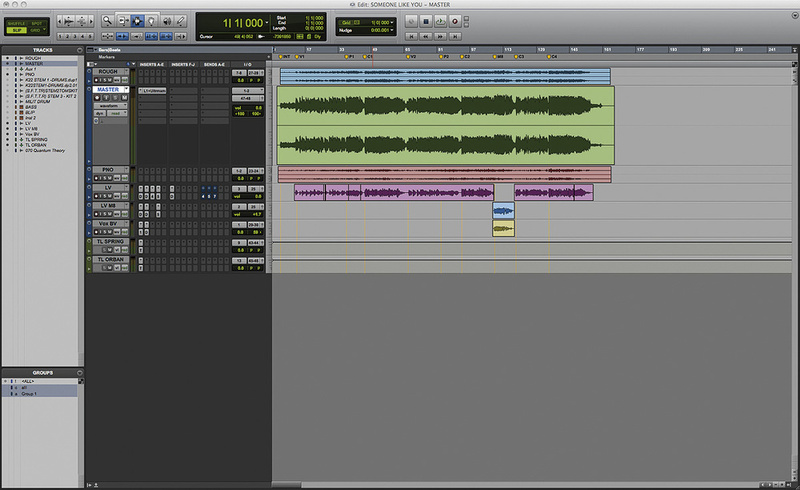 You can't set something like that up in Pro Tools, because you can't play with four aux sends at once. It'd drive me completely insane to even try to do it in the box. You can't play, you can't dance. You can't vibe with a track while moving a mouse. "By 2‑3pm, I want to be hitting somewhere near the reference mix, and then it's a matter of figuring out how to take it further. From that point onwards, I am in front of the board, though I may occasionally jump between the screen and the board. But sometimes I switch the screen off. You have to forget the screen, because you end up thinking about the music rather than feeling it. There's no magic recipe for taking the mix further. Every mixer has a different approach. I very much appreciate that the artist has worked for a long time on a track and usually has suffered to some degree in its making, and I remind myself that the final mix is a big day for the artist. Beyond that, I very much try to entertain myself. A lot of it is experience. I get to the balance quicker these days, and after that it's all in the detail. 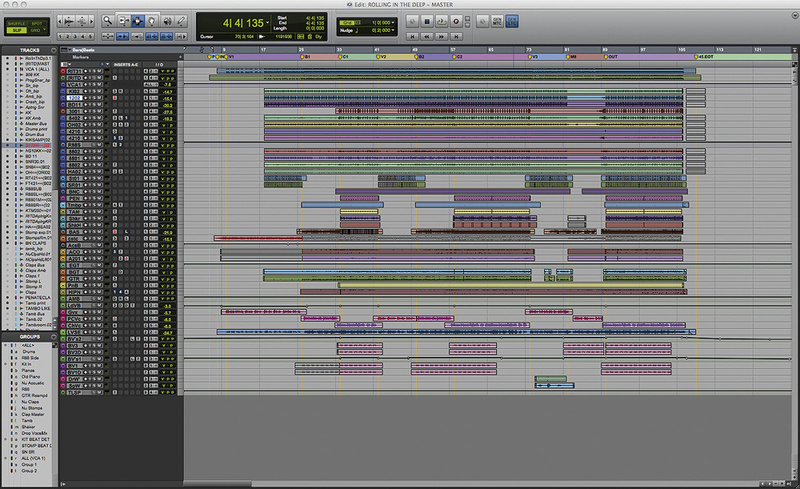 I can't quite explain how I get to the end result and know that a mix is finished. You simply learn to trust your own judgement. Tom Elmhirst: "Paul [Epworth] knows what he's doing, and the plan for the song was pretty clearly laid out. I just had to do more. It was as simple as that. The main issue was the dynamics in the mix. The song starts with a mono acoustic guitar and then when you get to the bridge, it opens up and get a bit wider, with a stereo acoustic coming in. Then the chorus comes in and all hell breaks loose. It suddenly goes from 2D to 3D. The chorus had to explode, it really had to hit you in the face. 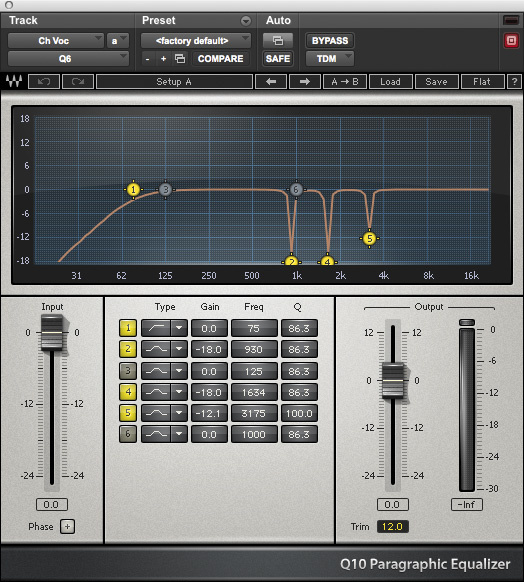 Adding the sub‑bass harmonic in the chorus in the stem session emphasised that, because it means that the mix opens up vertically as well. I wanted to accentuate all these things and make all the changes even more dramatic. One way of doing this was by adding delays to the vocals in the chorus. If I had a vision for this mix, it was to get a real sense of depth. It's like having a sense of perspective in a film, with some things close by and others far away. 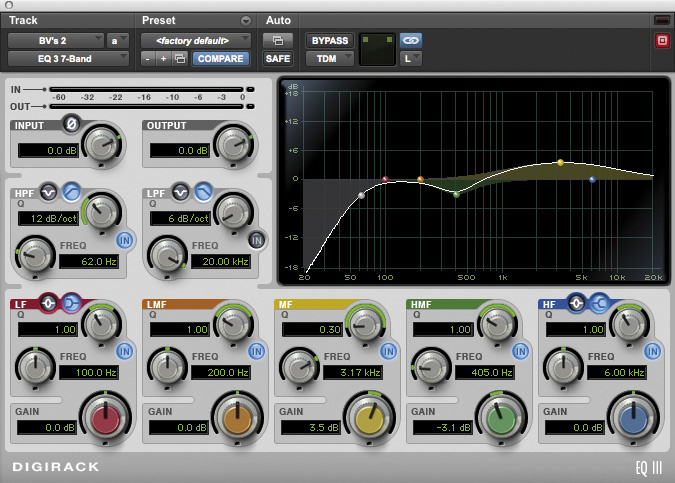 If everything in a mix is loud and right up front, there's no depth. 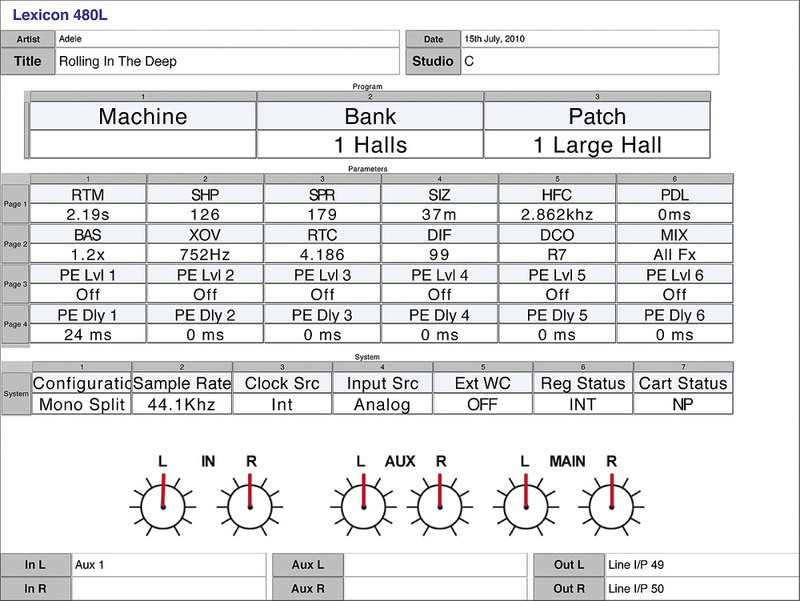 "The Pro Tools Session was very straightforward. 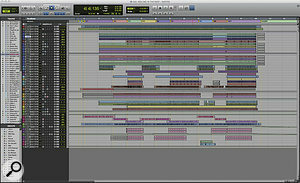 The Pro Tools Session from Tom Elmhirst's original mix of 'Rolling In The Deep'. 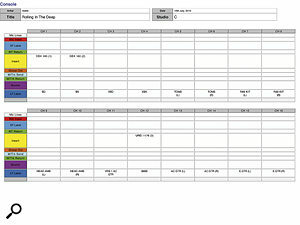 My stereo mix is right at the top, and then below that are the drums, then the bass, acoustics, electrics, pianos, lead vocals and backing vocals. Specifically, if you look at the Edit Window screenshot, you can see a kick sample that Paul added ['K102'], then the original live bass‑drum track ['1202', a reference to the D12 mic that recorded it], and then a kick sample I added ['BD11'], a snare track ['3001'] and snare sample I added ['8402'], overhead mono ['OH02'], and two tom tracks ['4210']. 'R88S' is a subgroup for four additional kick tracks underneath, 'HA02' is a binaural head mic, 'St01' and 'SR01' are footstomps, 'BNC' are bounced claps, and I added some extra claps ['PEN']. 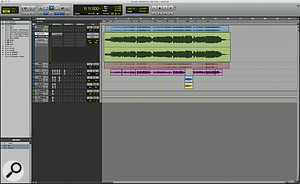 The drums are completed by two tambourine track, one original one and one I added, and two shakers tracks. The instrument tracks consist of just the bass ['bas'], the opening mono guitar ['cstc'], which goes into a stereo pair in the bridge ['CO A201'], a mono and a stereo electric guitar — the mono doubles the acoustic — and two stereo piano tracks. Below that are the vocals, starting with the lead vocal ['LdVb'], which subs the verse, bridge and chorus tracks below, while 'LVSE' is a Roland RE501 Space Echo track that Paul had recorded. Below are the backing vocals. 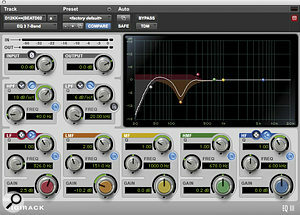 Drums: Digirack EQIII & Lo‑Fi, Waves Renaissance Bass & MV2, Dbx 160, Chandler TG1, Neve 33609, Smart C1. 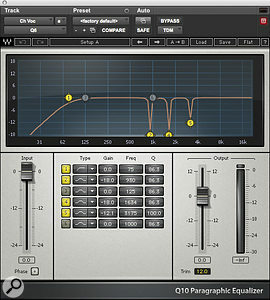 Waves' Q10 EQ notched out several problem frequencies on the chorus vocal. 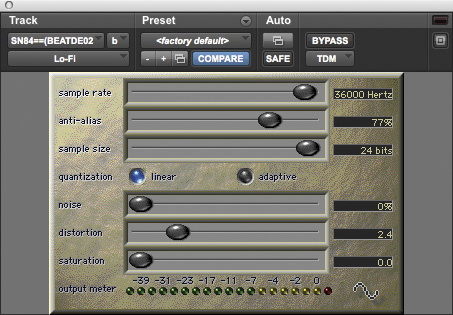 Tom Elmhirst also used two Waves De‑esser plug‑ins to tackle sibilance. 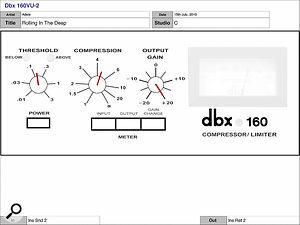 "I'll tend to use plug‑in EQs for more surgical things, like notching out specific frequencies, for example 151Hz on the kick using the Digirack EQIII, although that EQ may have been on it when I got the Session. I think I also added some RBass on the kick to get more low end on it. 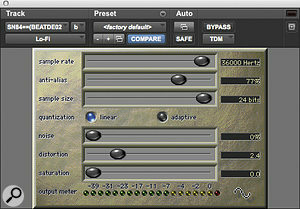 On the snare I had another EQIII just taking out a little around 203Hz, plus there's a Lo‑Fi [plug‑in] taking off some top end and adding some distortion and aggression. The sound was probably too clean for my liking. There are several instances of the EQIII in the drums, but most of them aren't doing anything — they also came with the Session and I switched them off. 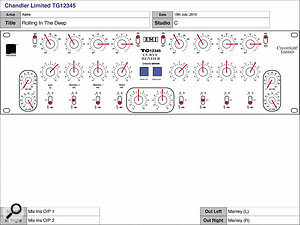 The '2' on the overheads is the Waves MV2 compressor. It's what I call a creative plug‑in, because it's quite effective sonically, working a little like a multi‑band limiter. Vocals: Waves Q6 & De‑esser, Digirack EQIII, Lo‑Fi & Trim, Pultec EQ, Urei 1176, Tube‑Tech CL1B, various spring reverbs and delays. 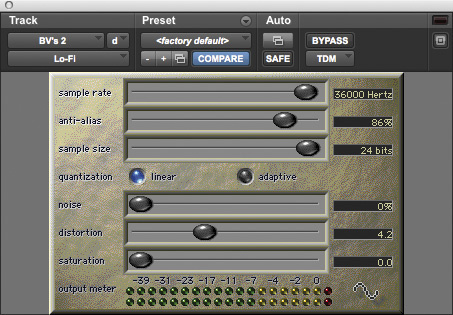 The Lo‑Fi plug‑in got another outing on the backing vocals, where some tonal shaping was applied with EQIII. "I had the Q6 on the chorus vocal, notching out 930, 1634 and 3175 Hz very, very heavily: ‑18dB, ‑18dB and ‑12.1dB respectively, with very narrow Q. I also had the EQIII on the lead‑vocal sub, notching something out again. Something obviously needed to be taken out. The vocal is the most important thing in the track, and taking those frequencies out allowed me to keep it up front in the mix, particularly in the chorus. You can never account for what mic the vocals were recorded on, and whatever it is that bugs me, I can take it out. 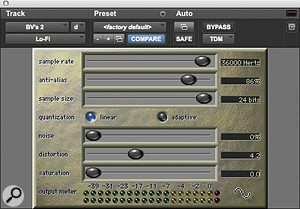 'T' on the lead vocal bus is the [Massey] Tapehead plug‑in, which wasn't used, but I did use two Waves De‑essers, one taking out at 5449Hz and the other at 11004Hz. Rather than use one to try to cover all the sibilance I used two. I do that quite often. Final mix: Manley Vari‑Mu, Chandler Curvebender, Cranesong HEDD. 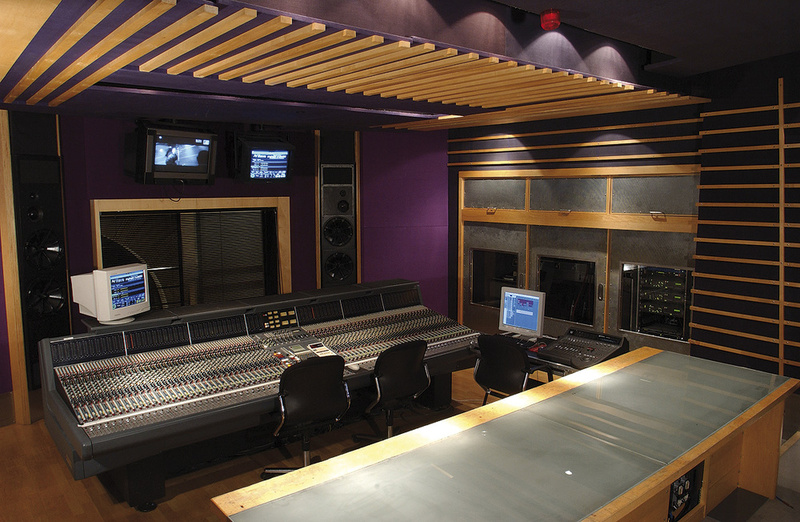 Tom Elmhirst's favoured mix room is Studio C at Metropolis in West London. Tom Elmhirst's impressive track record allows him not only to be selective about the projects he works on, but to work 'out of the box', using the Neve VR console in London's Metropolis Studio C. "I have always mixed on a Neve VR, and the sound of the room is crucial to what I do. I have mixed in other rooms, but the monitoring in Studio C is a huge factor in why I am so comfortable there. You have to remember that whilst I enjoy mixing immensely, it is still a skill and a discipline that one has to work hard at, and that I am still working hard at. My reluctance to work on particular projects rarely has anything to do with lack of a budget. It's more about taste. Yes, mixing in the box may be much cheaper, and there are some practical benefits, but to my mind the console is still the best front end for Pro Tools, still the fastest way to get a mix going and still the most fun. "I have never felt any pressure to change the way I work, but I'm sure there are projects I don't get considered for, because the temptation to make records as cheaply as possible sometimes triumphs over having a shot at making as good a record as possible. Budget should never be the overriding issue. You've got to be creative. There's still such a thing as down time! You'd think that I'd have artists kicking down my door, asking for a squeeze, some advice, a hook‑up, an opinion… I think people get the idea of a studio complex confused with the 'corporate music industry'. Studios should really be at the heart of creativity. I'm working on a record right now that has no budget at all, and I absolutely love it. Everyone has their heart in it and believes in it 100 percent. It's exciting. "There's less and less money to keep a room like this going. But we should all do more to protect the culture of studios and the culture of assistants, who come up through the ranks. I had that experience at SARM, and I believe it's incredibly important. There are only a handful of studios left in London, and I don't know what these hundreds of kids coming out of music tech courses are going to do. So I will continue to support a studio like Metropolis. Not having my own room gives me additional choices. It means not having to say yes to everything I get offered. I can walk out of the door here and not worry about maintaining the place or taking on every session to keep it going. I wouldn't have that freedom with my own place. 'Someone Like You' consisted of just a stereo piano and a vocal, with a small additional vocal part. Adele's 'Someone Like You' is that rare thing: a one‑vocal‑one‑instrument number one (in the UK, Ireland, Australia and New Zealand). The track consists of only one stereo acoustic piano and one lead vocal, with a brief vocal doubling in the middle eight, and that's it. 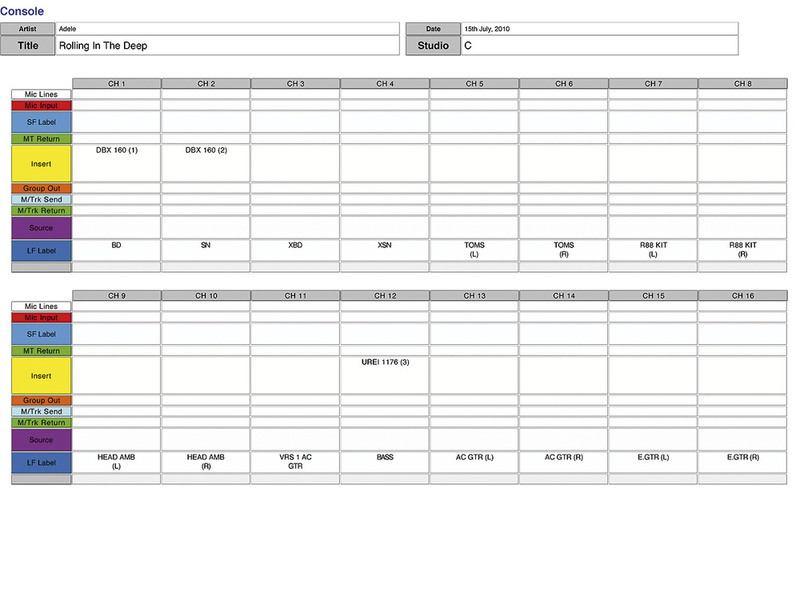 It doesn't come more minimalist than this, and according to Tom Elmhirst, the mix happened quite quickly. And so Epworth was asked to upgrade his demo, something he decided to do at Eastcote Studios in London. "The final master was pretty much the demo with a few embellishments. I had played everything live on the demo: drums, bass, acoustic, electric and piano. I like to use a bit of live kit on a demo, because it makes a big difference, if that's how it's intended to sound. On this song, we used a '60s marching band bass drum up against the front head of my 1972 Super Classic kick to get a tight attack and a big boom. A lot of the stomp of the kick drum was actually Adele stamping on a wooden step in my studio. We tracked it up so it sounded really heavy. Blended with the kick, it had a real blues sound. 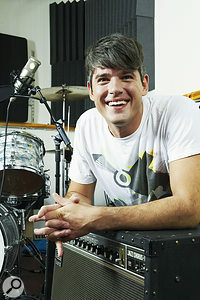 At Eastcote, drummer Leo Taylor added more life to the demo drum recordings. The issue was trying to get an ambient sound without it being splashy. The ceiling is low in Eastcote, and we wanted a live take of the drums, so there was some juggling. 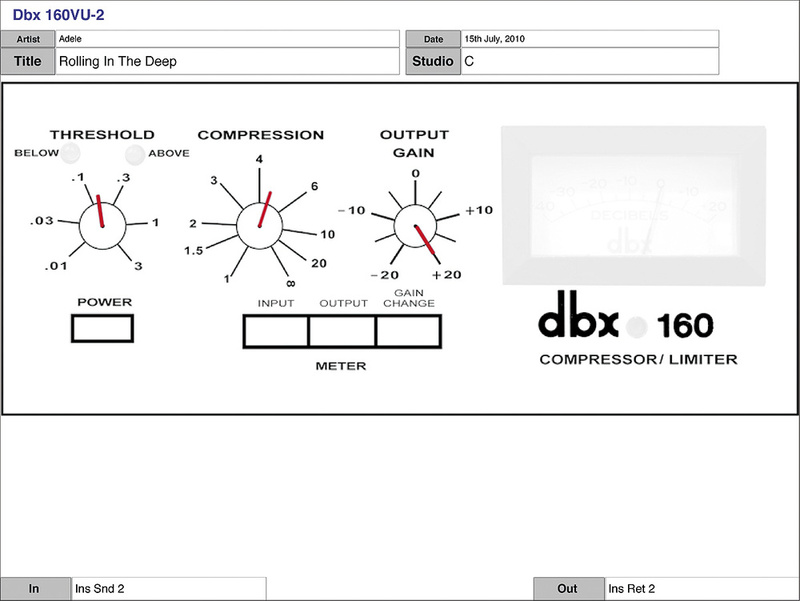 Also, when you get a 26‑inch kick tuned low like that, you have to tailor the decay with mutes, a little bit of tape and a blanket, while being careful not to kill the impact or tone. "The piano was replayed and embellished by Neil Cowley, and I replayed all the acoustic and electric guitars as I felt they should have been played. The main reason for recording at Eastcote was that I wanted to try and emulate Tchad Blake's binaural head sound from those Tom Waits records from the late '80s and early '90s. We recorded into Pro Tools at Eastcote and used a binaural head but with a couple of Schoeps [mics] either side — we couldn't get our hands on a Neumann — and we placed stuff around the room to get the stereo width. Mark Rankin [the engineer on the Eastcote sessions] close‑miked everything too, and we blended the close mics and head mics to get the desired depth. For recording the acoustic guitars, we used the [Telefunken] Elam 250 as a close mic, three feet from the front of my 1964 Martin to get the body and presence, and we used a head with Telefunken Elam 260s positioned horizontally at the listening position. The electric was a 1957 Les Paul played through a Mesa Boogie combo, and recorded with a Royer mic. One of the many benefits of working at a large, professional studio like Metropolis is its meticulous record‑keeping. 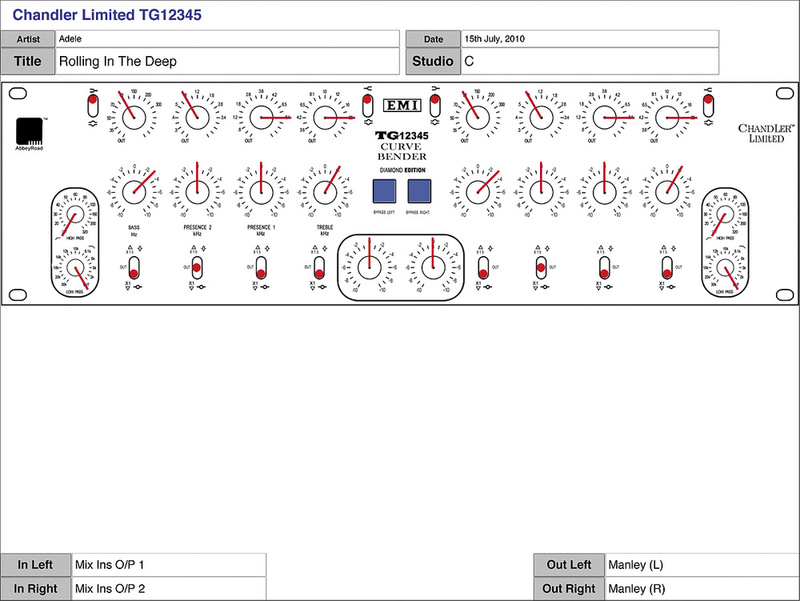 All of Tom Elmhirst's outboard gear settings for the mix of 'Rolling In The Deep' were written down and kept, in case the mix later needed to be recalled, and Tom has kindly made his recall notes available in PDF format for anyone who's interested. To download the recall notes and the full screenshots of his Pro Tools Sessions, head to /sos/sep11/articles/insidetrackmedia.htm.